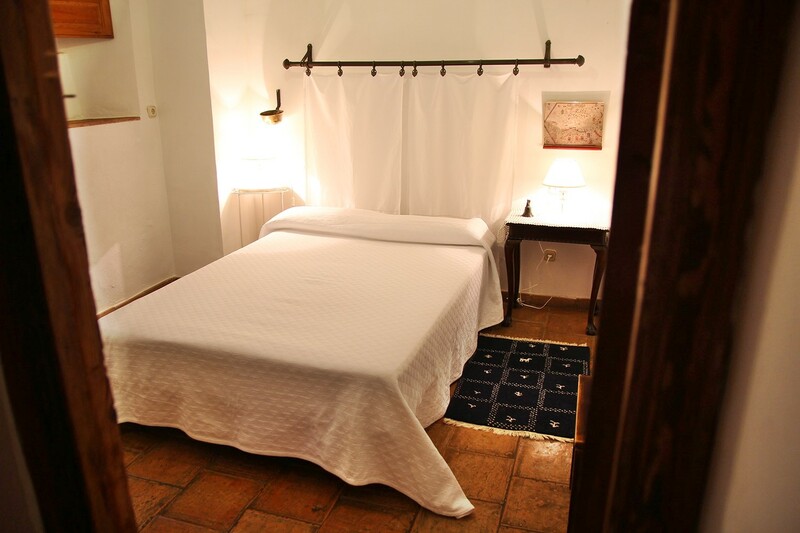 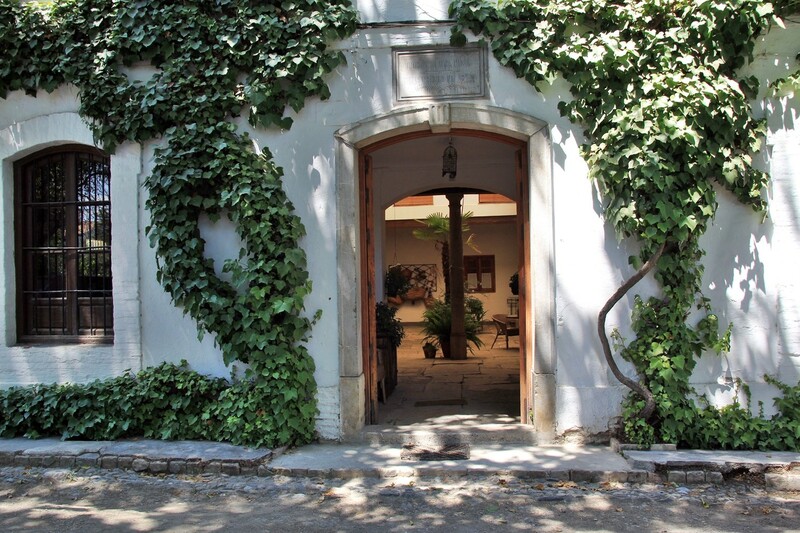 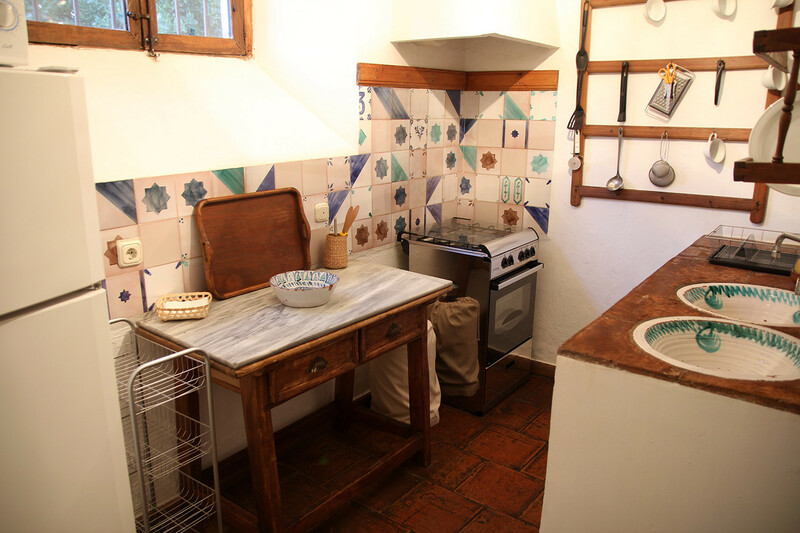 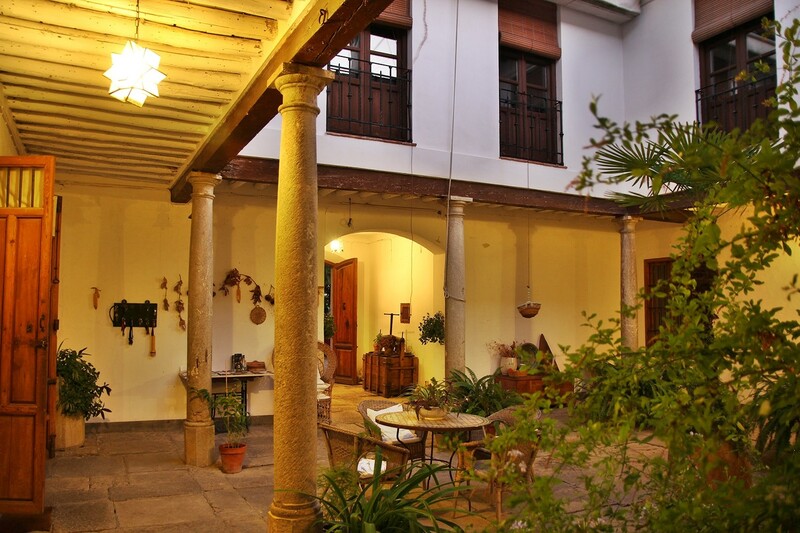 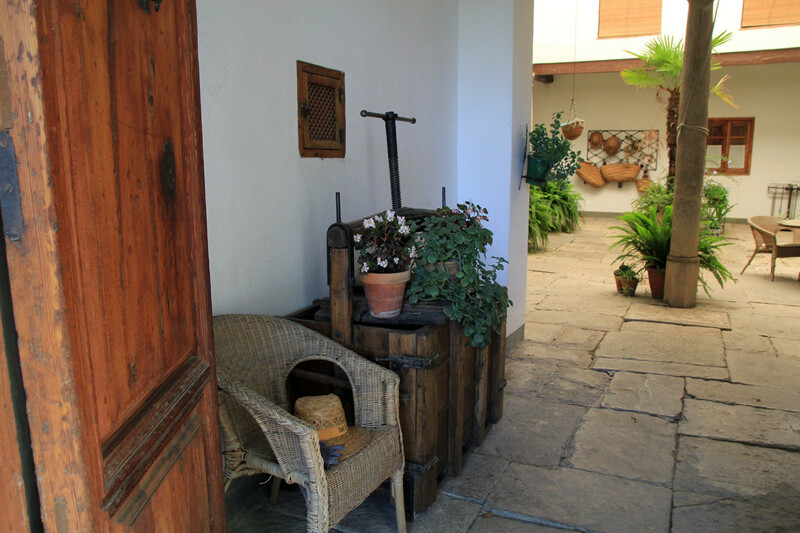 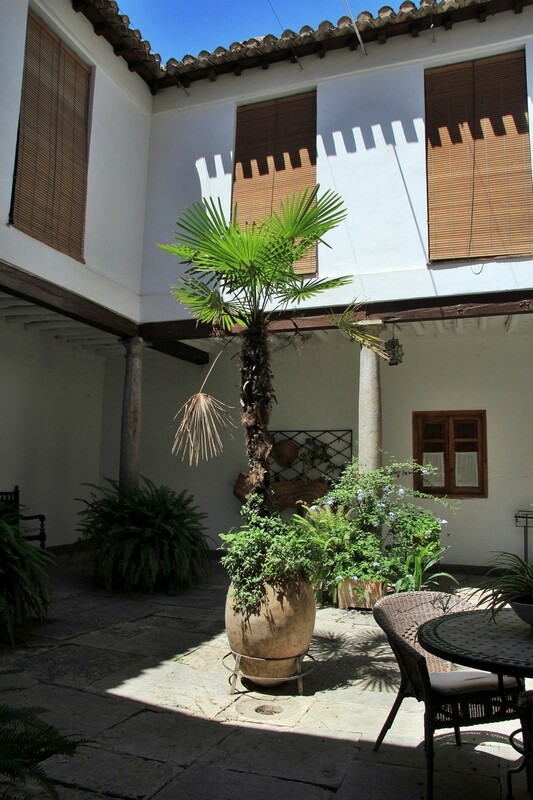 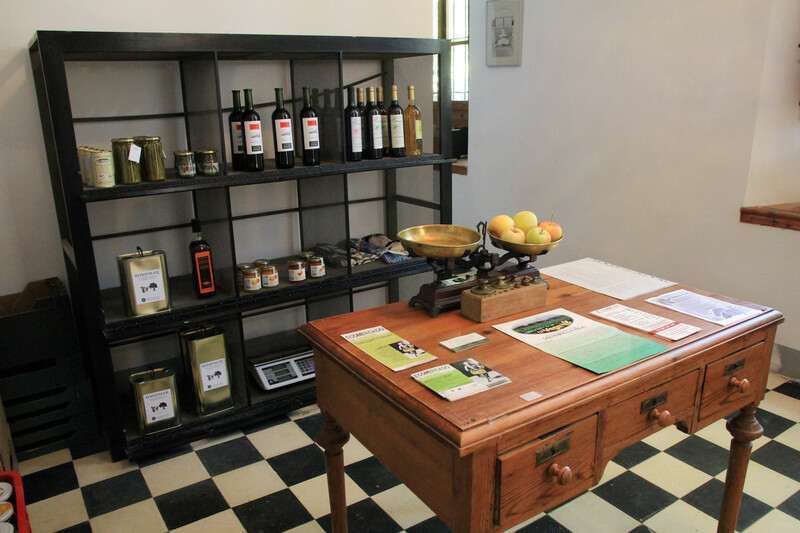 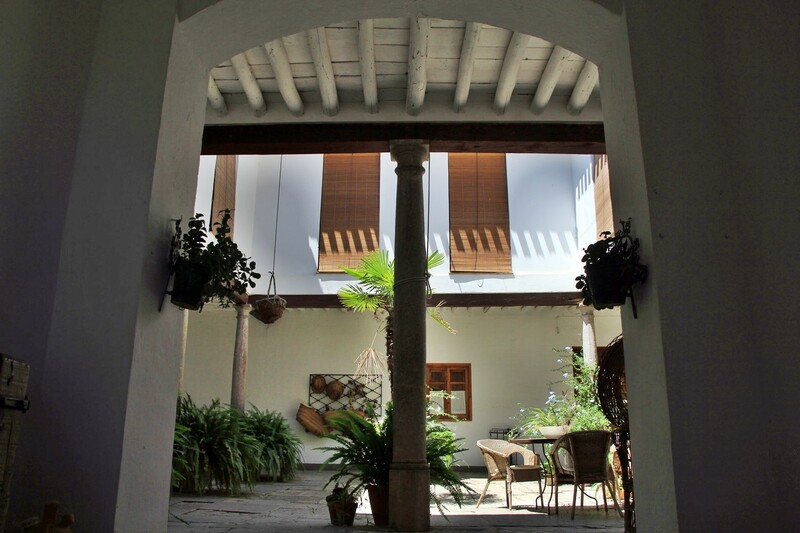 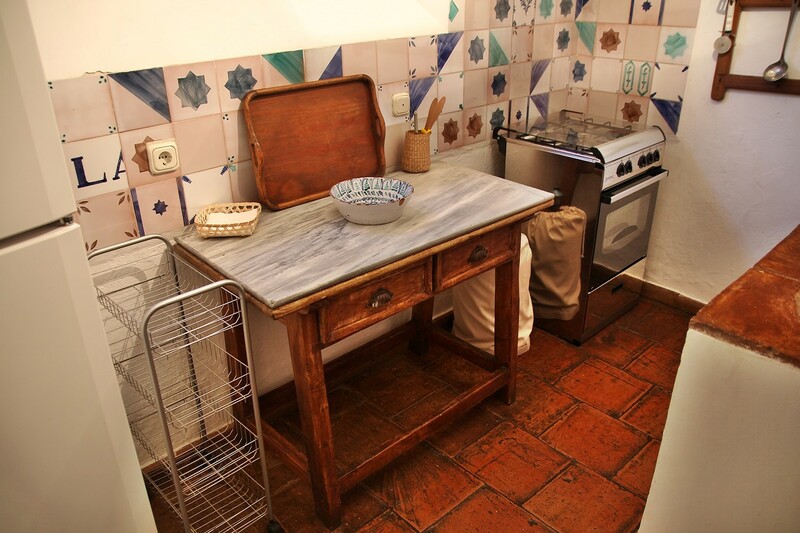 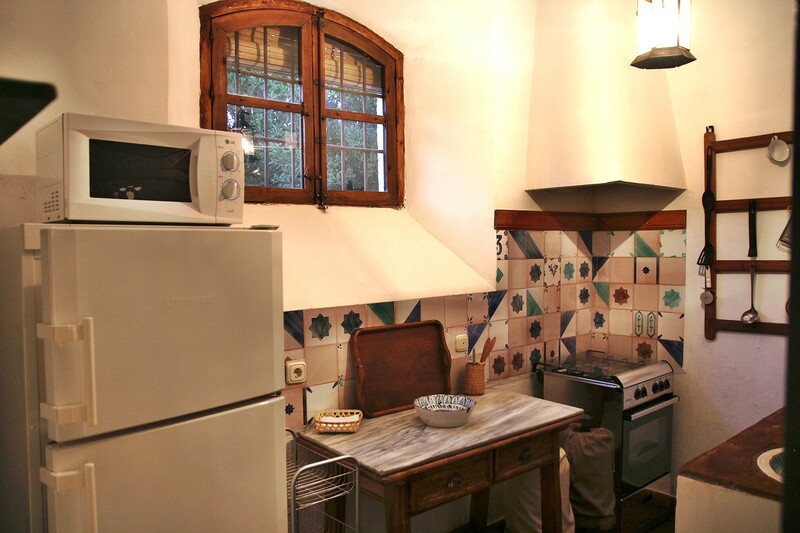 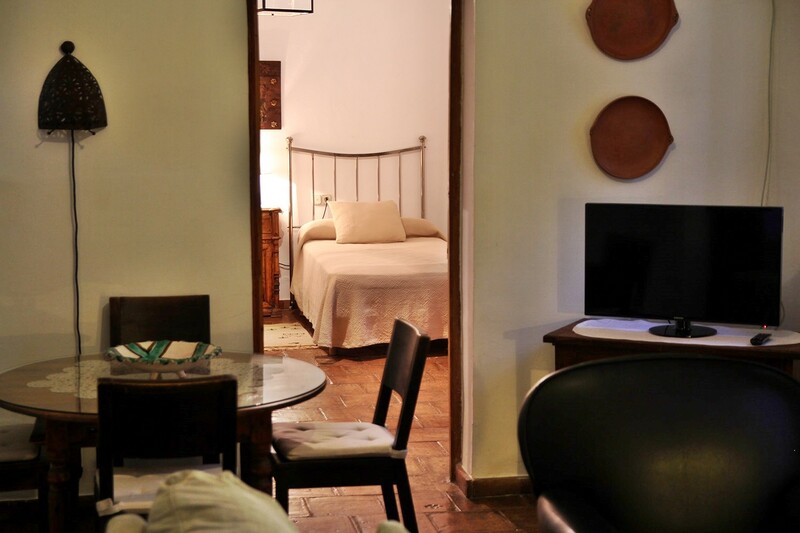 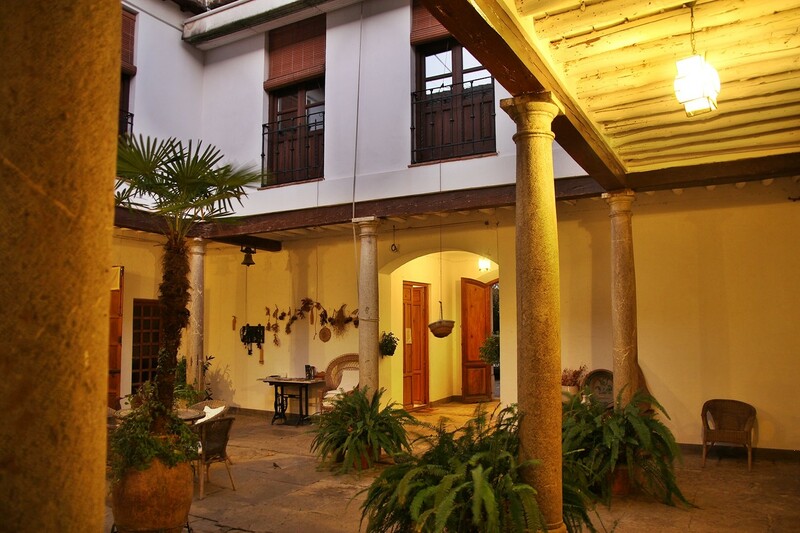 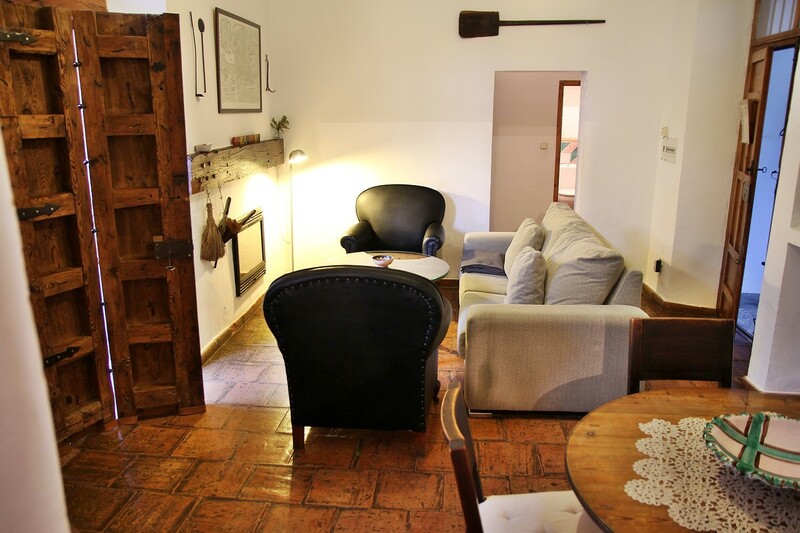 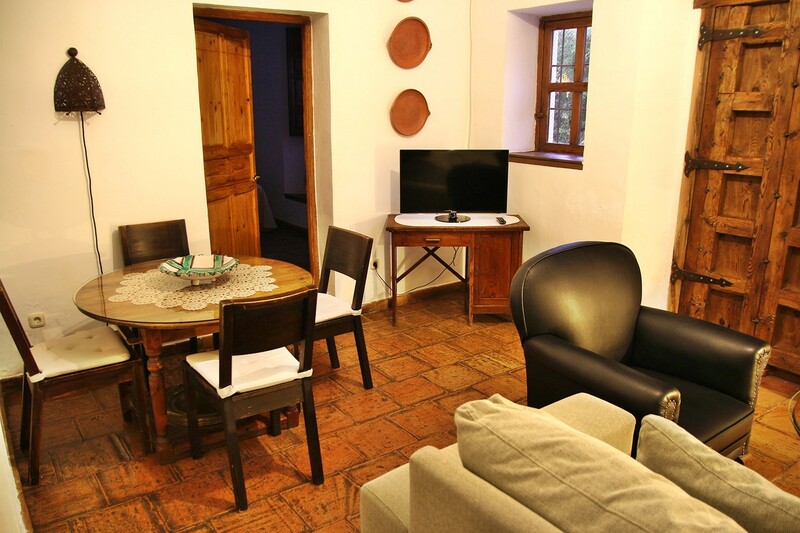 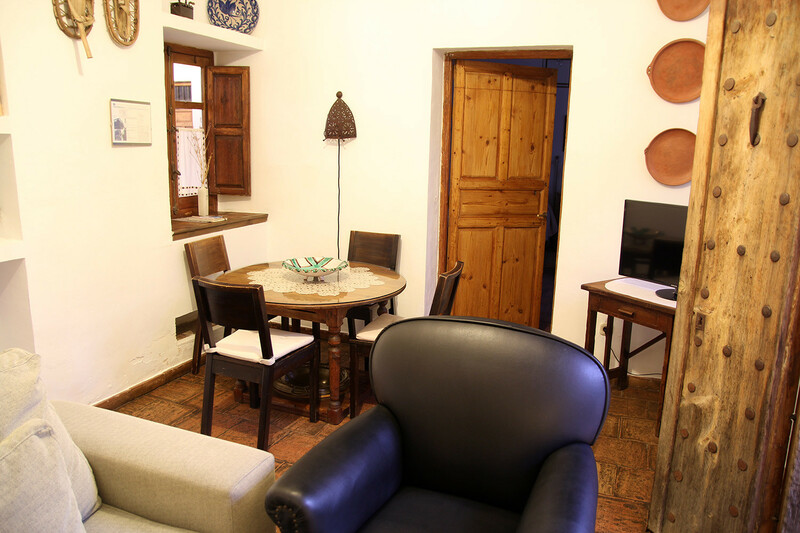 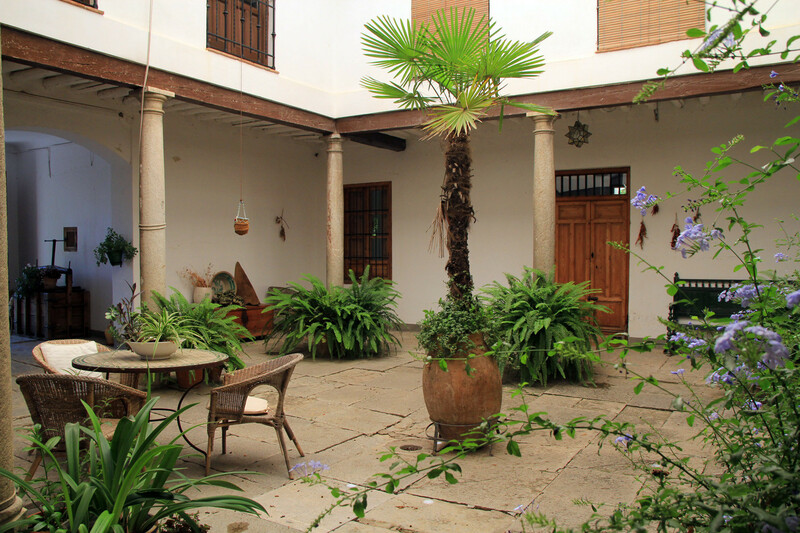 The apartment is located on the ground floor of the farmhouse and is part of the central courtyard of columns. 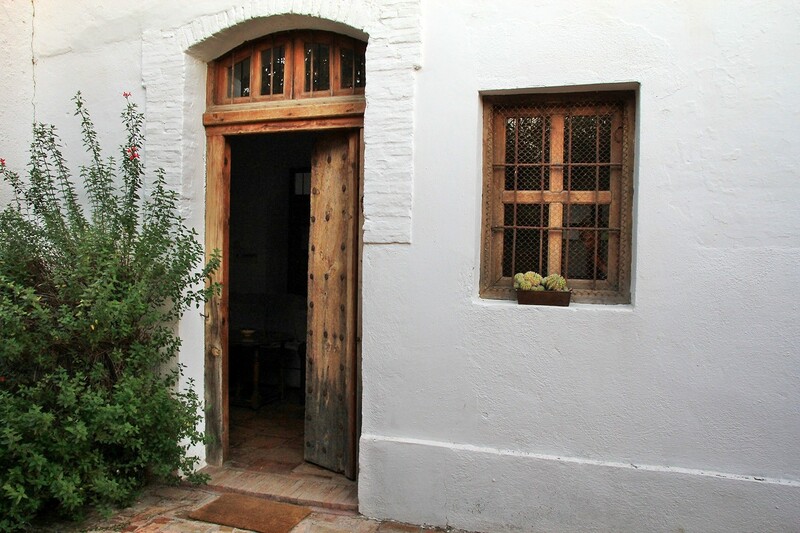 The entrance is from the garden. 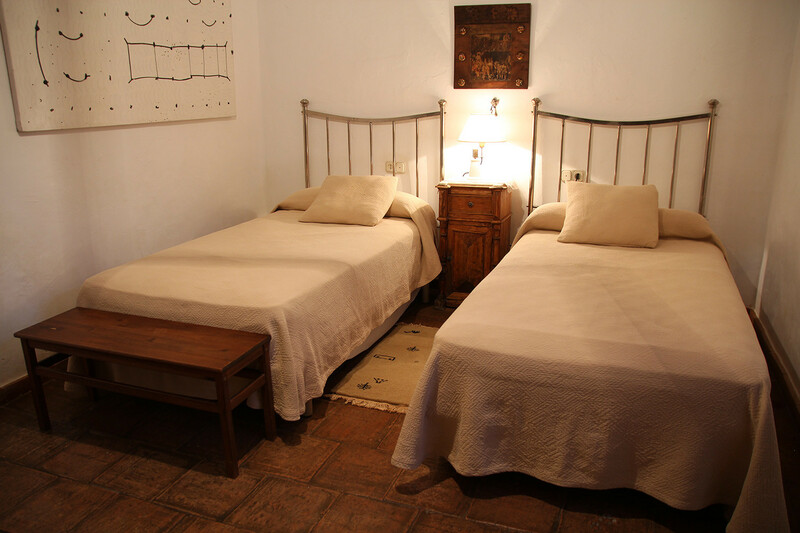 It has two double bedrooms; one with a double bed and one with two twin beds, a bathroom with bath, a living room with fireplace and a separate kitchen. 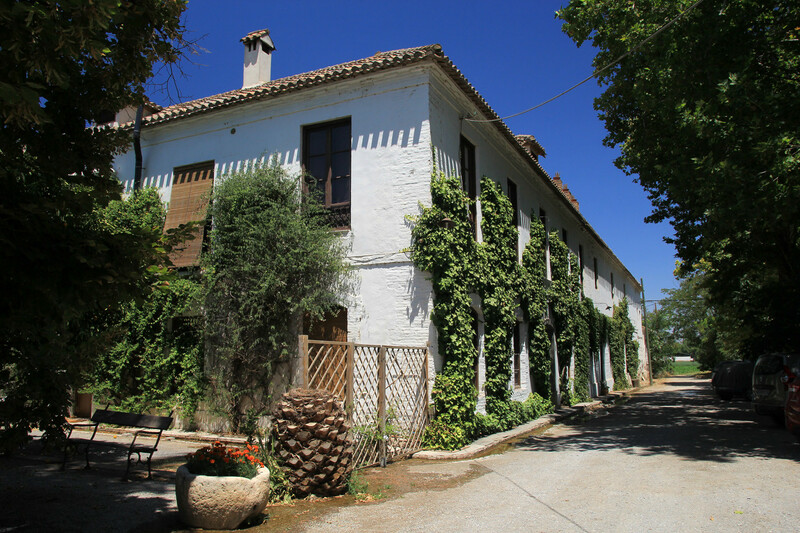 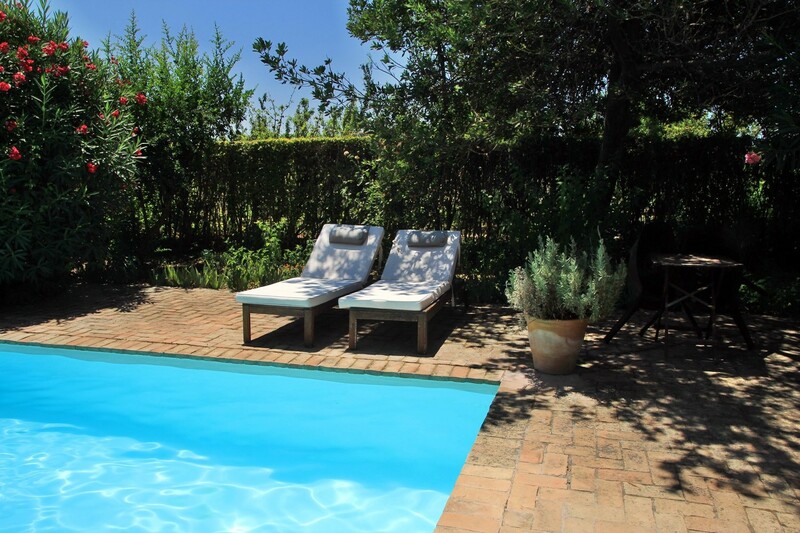 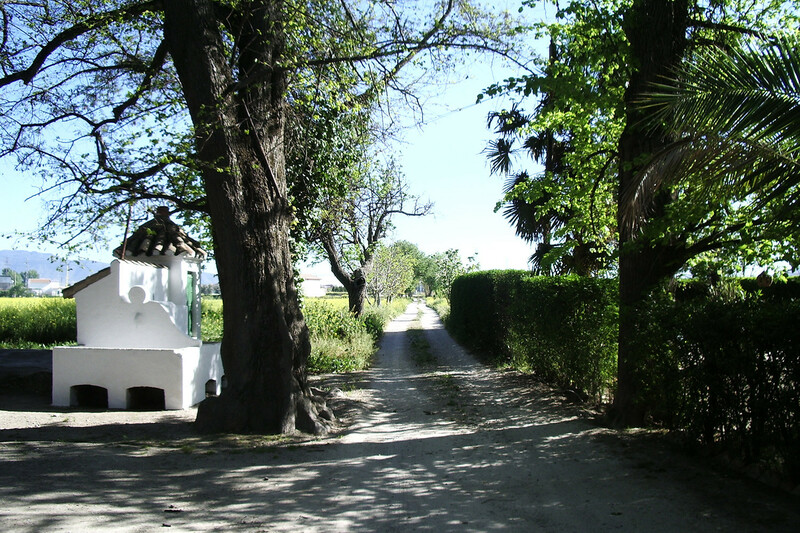 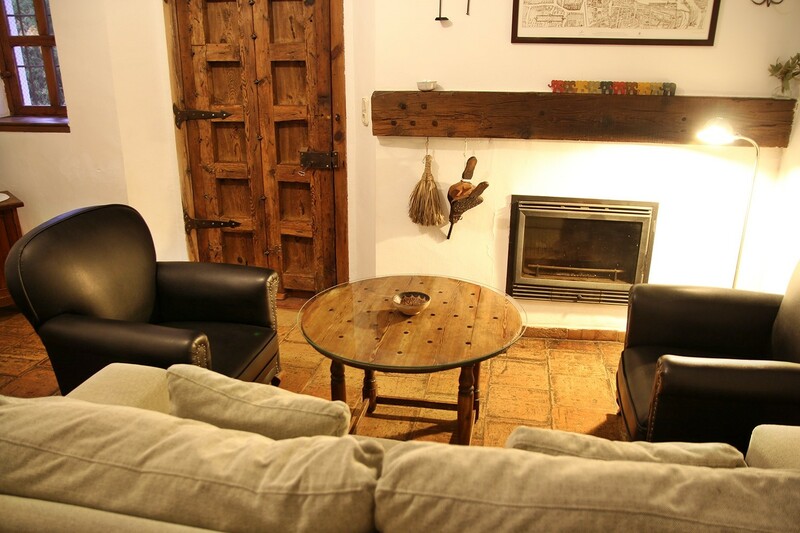 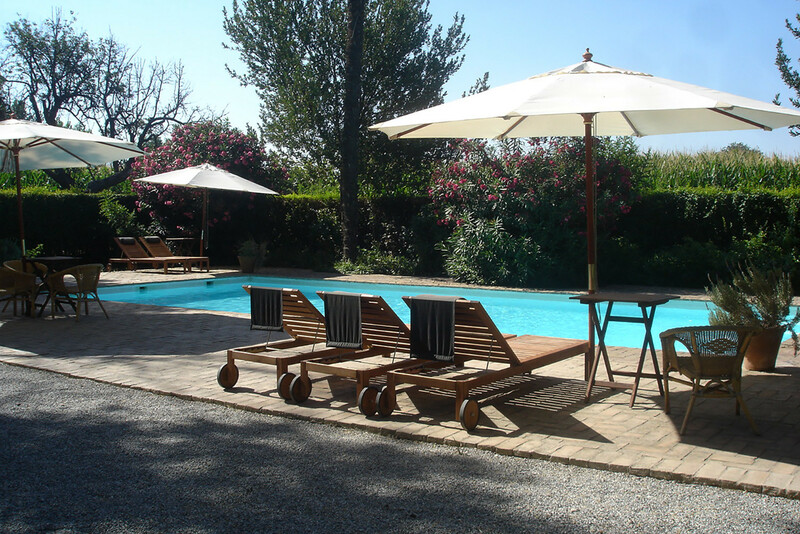 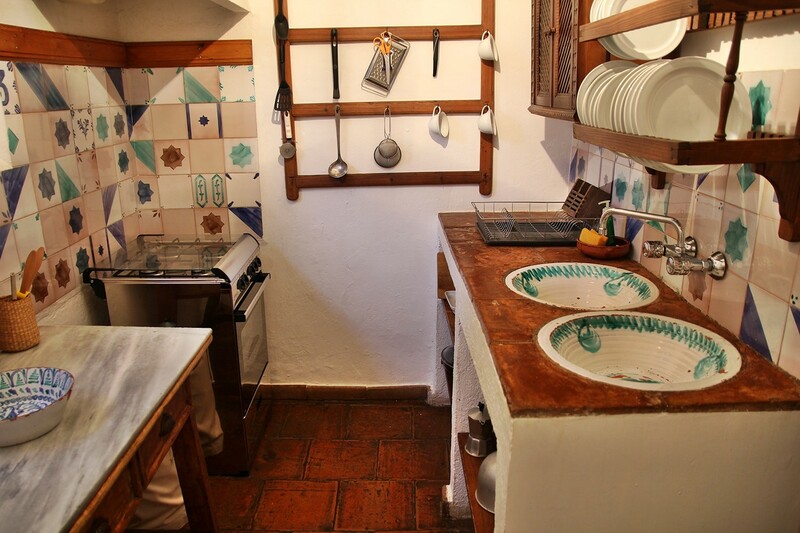 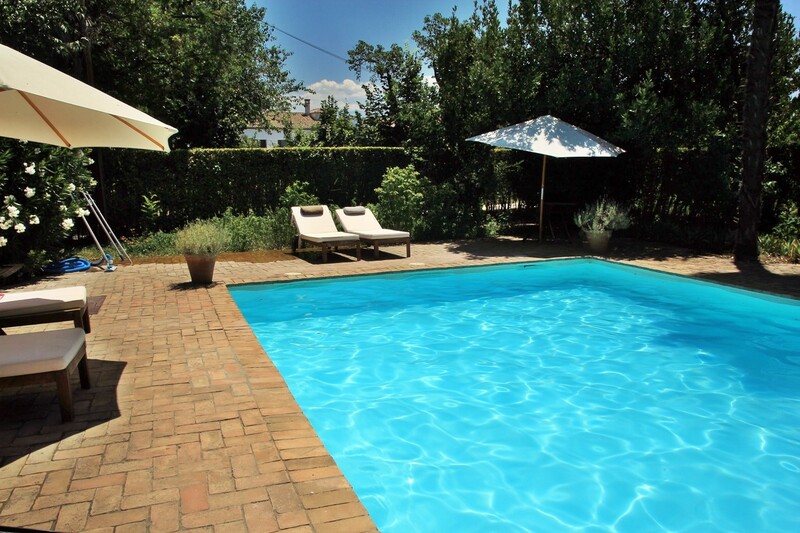 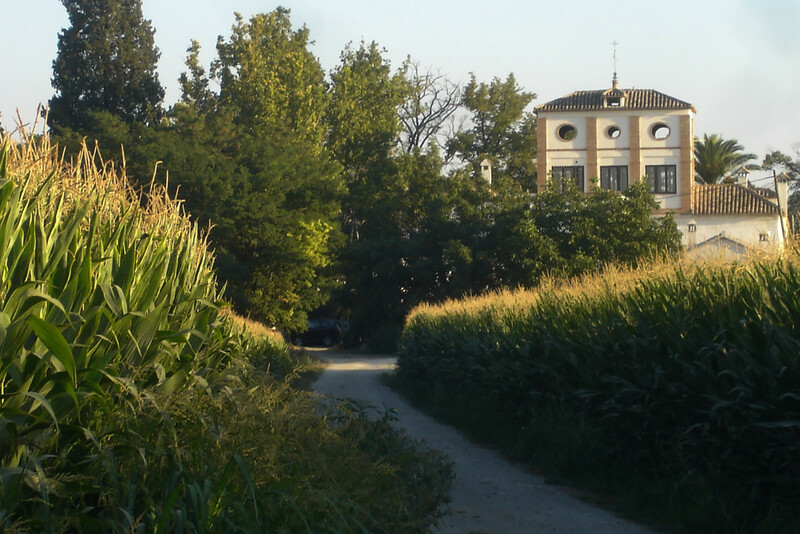 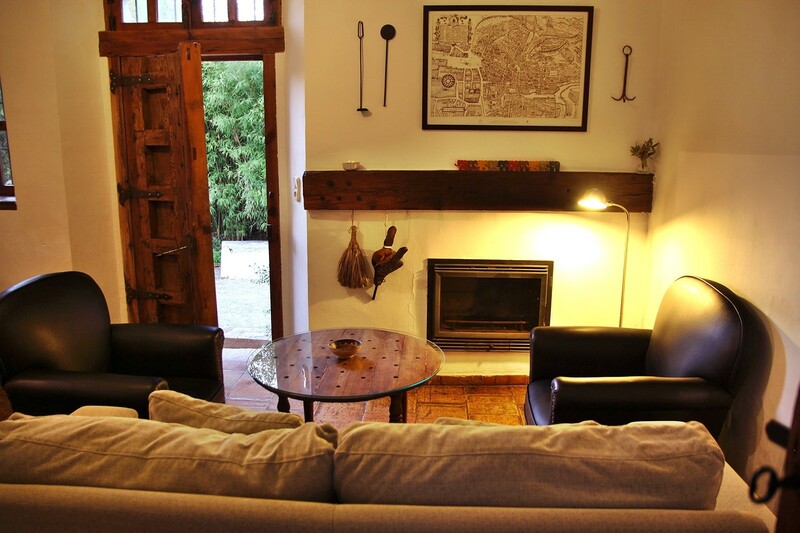 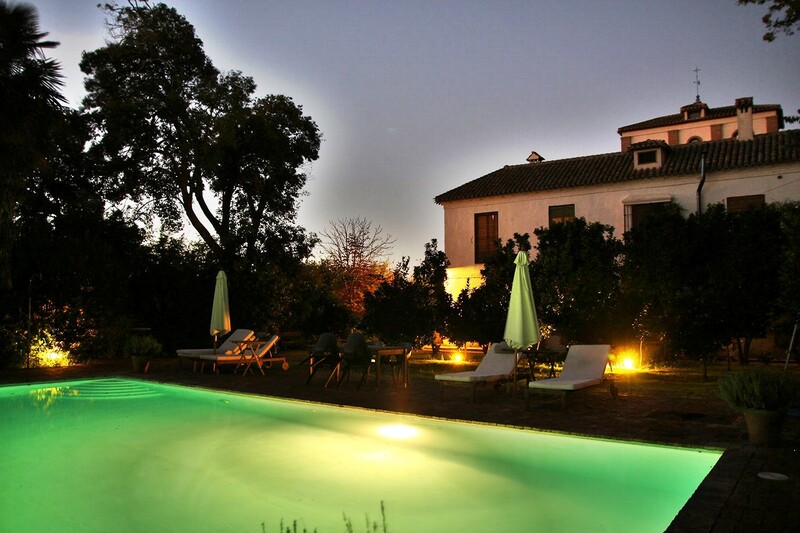 The farmhouse is situated in the middle of the fields and only 3 km away from Granada. 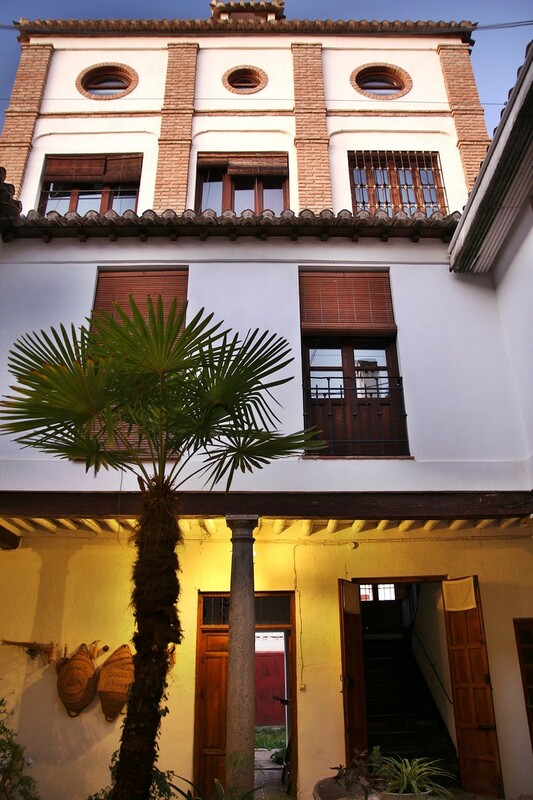 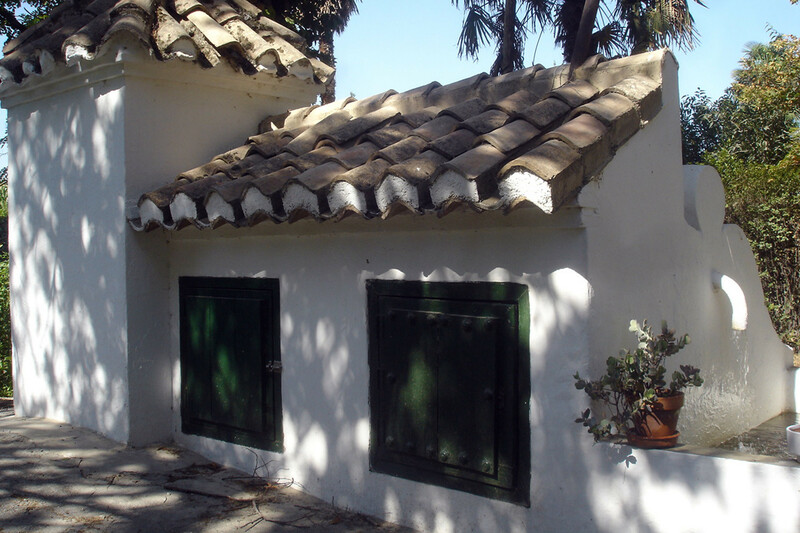 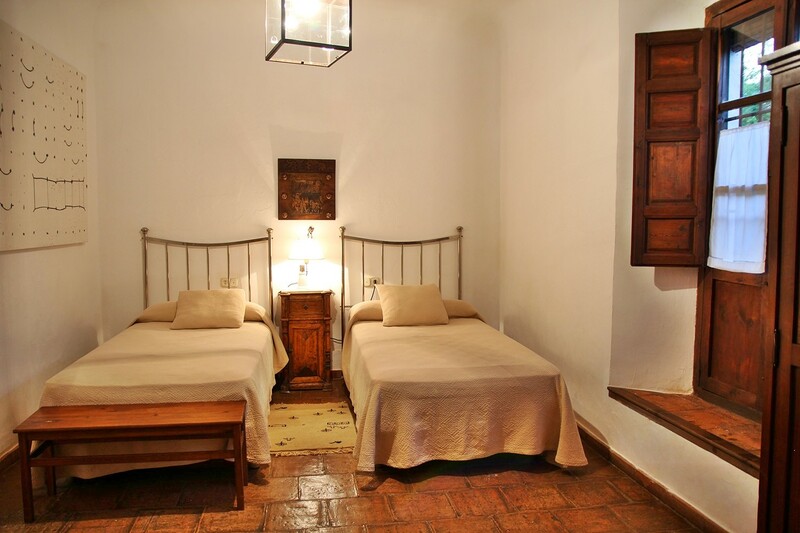 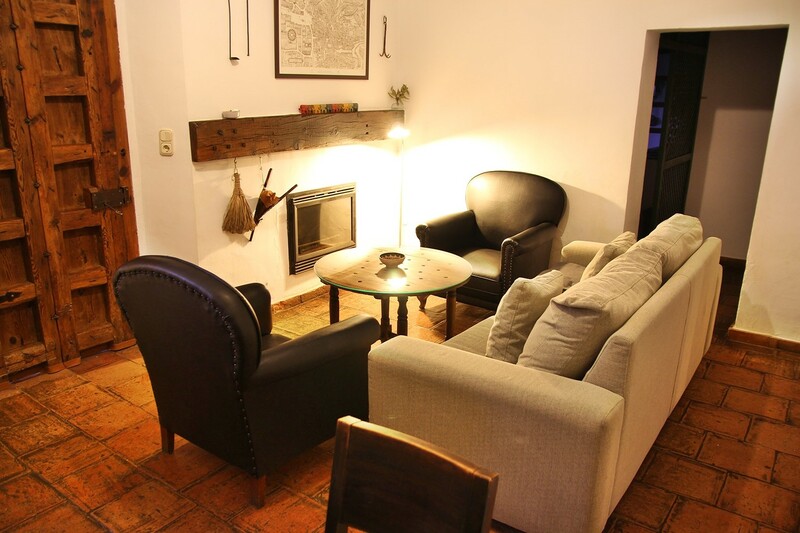 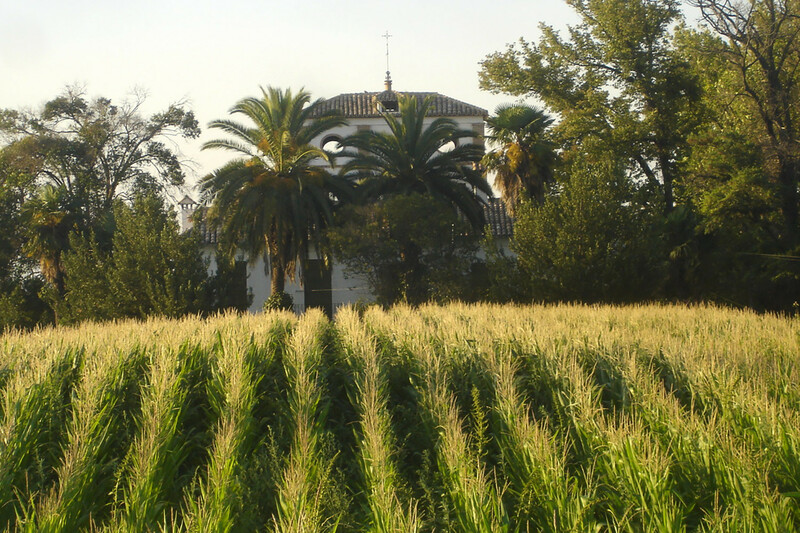 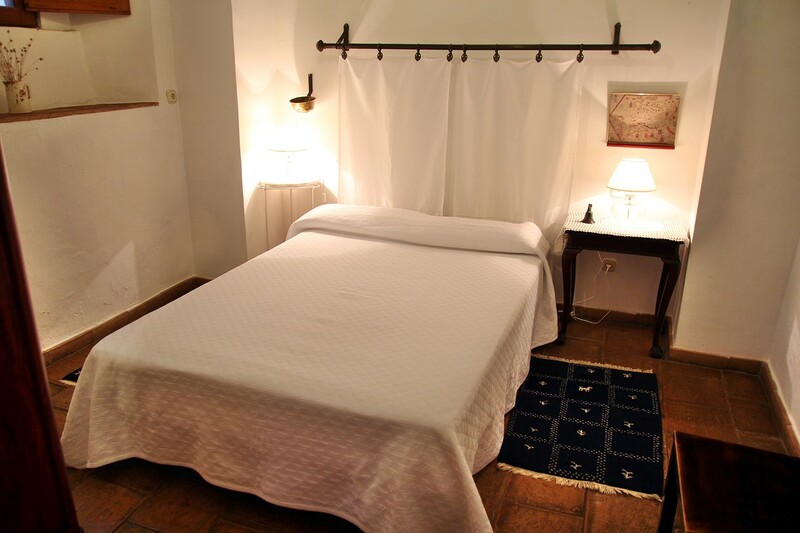 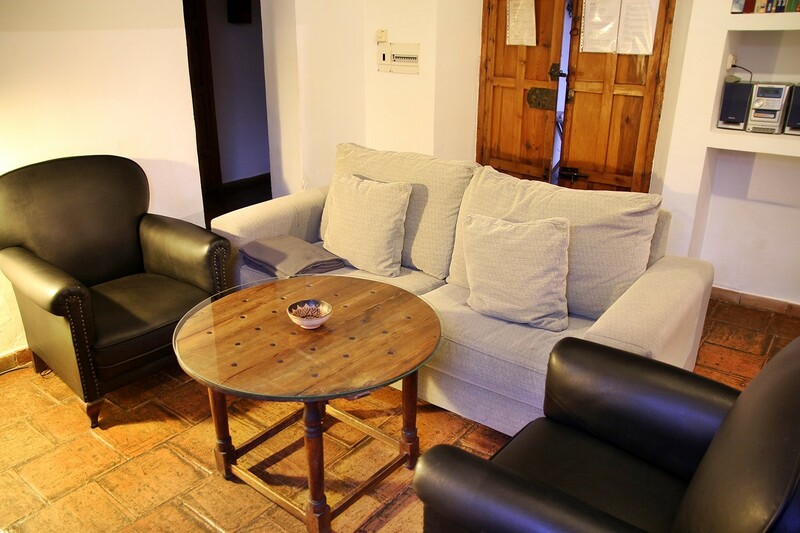 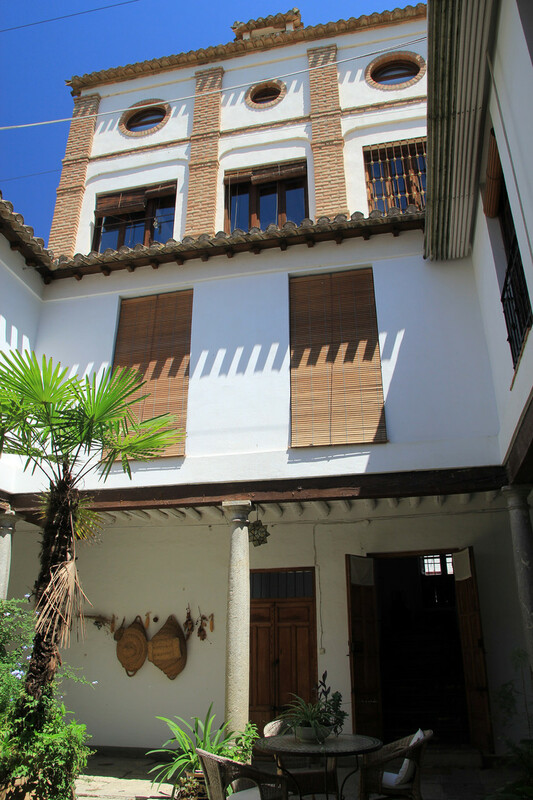 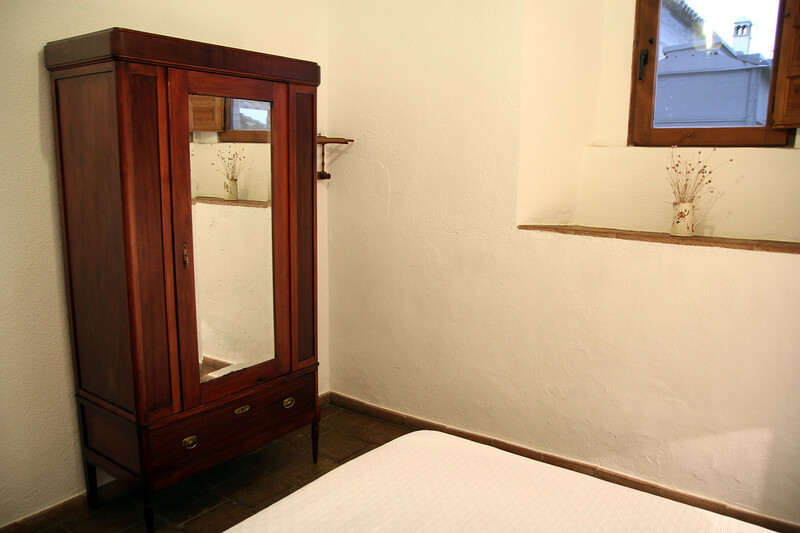 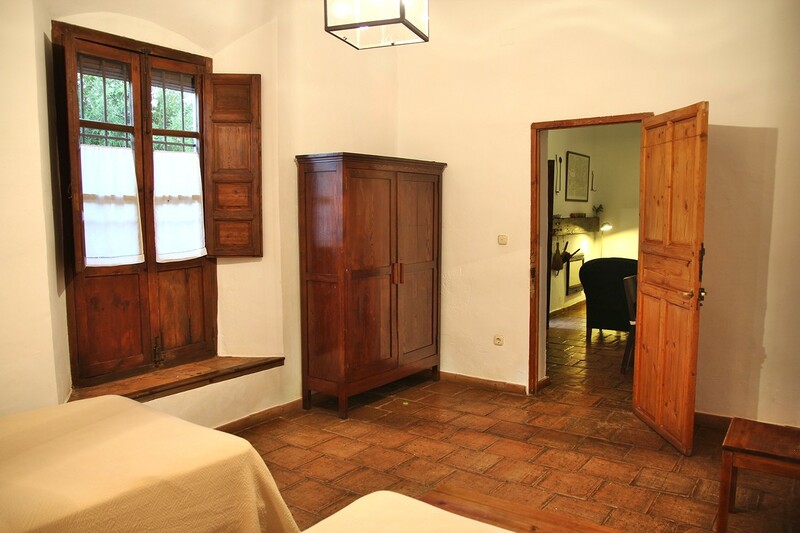 This is a perfect place to enjoy the rest of the countryside and to be close to the busy historic center of Granada. 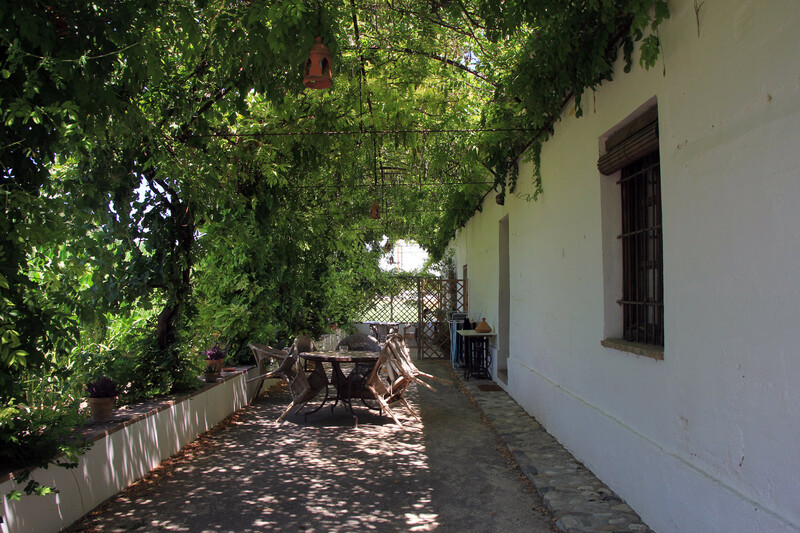 In front of the house is a terrace with a table and chairs which is shaded by a pergola of wisteria. 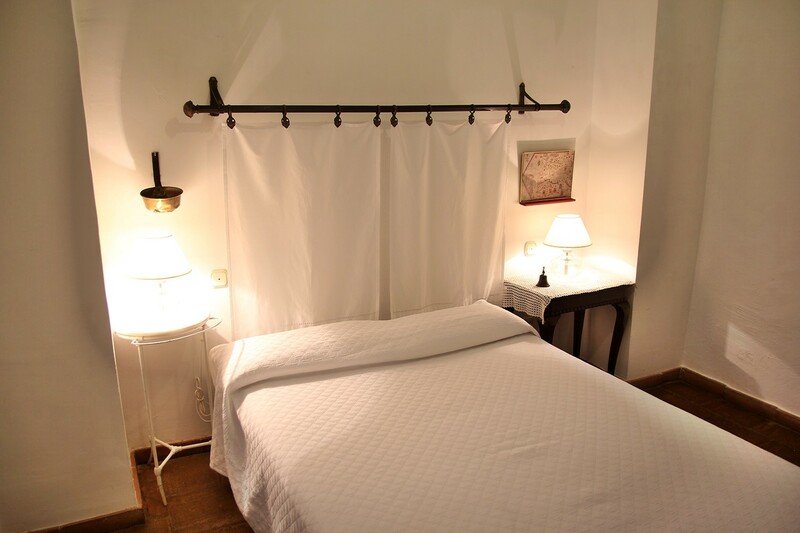 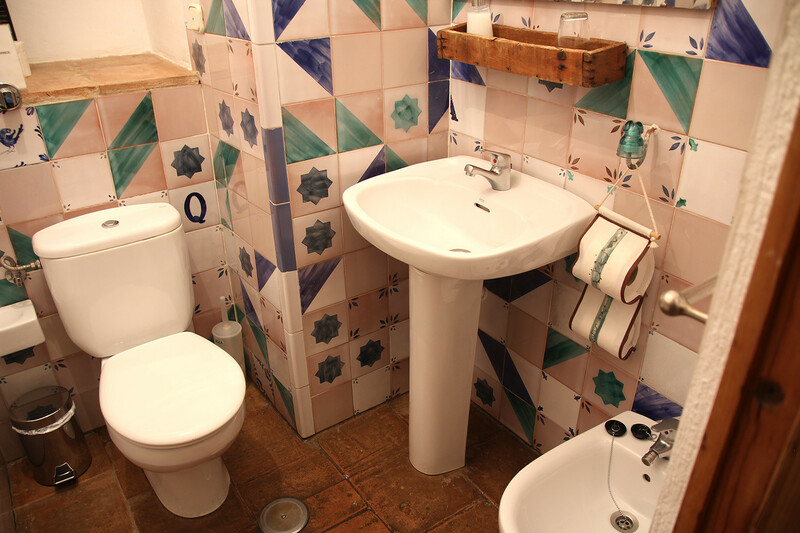 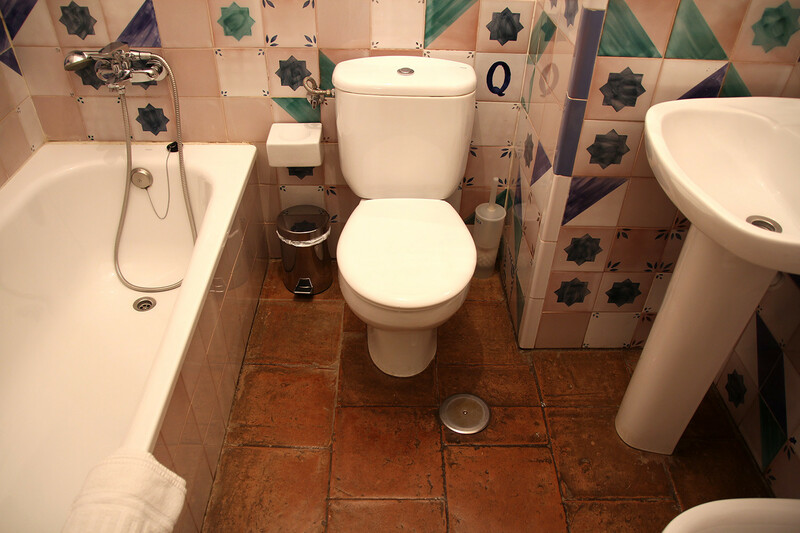 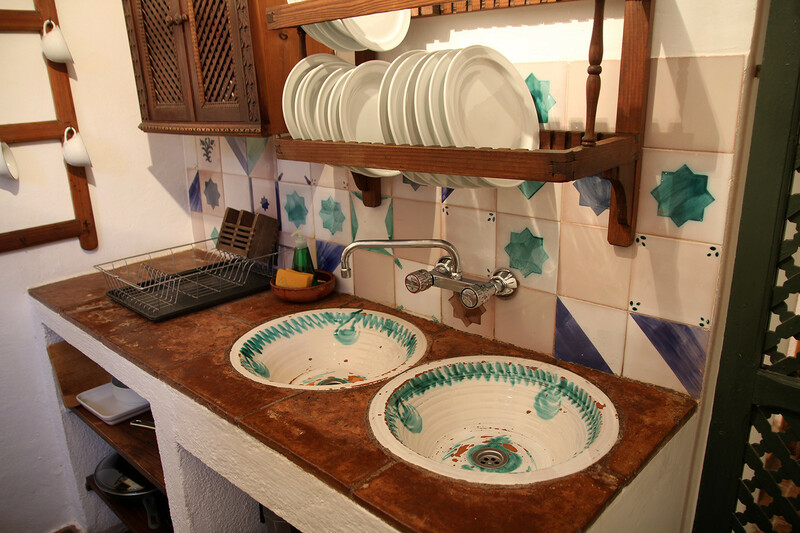 The apartment is equipped with all necessary services; what you would expect of a modern house. 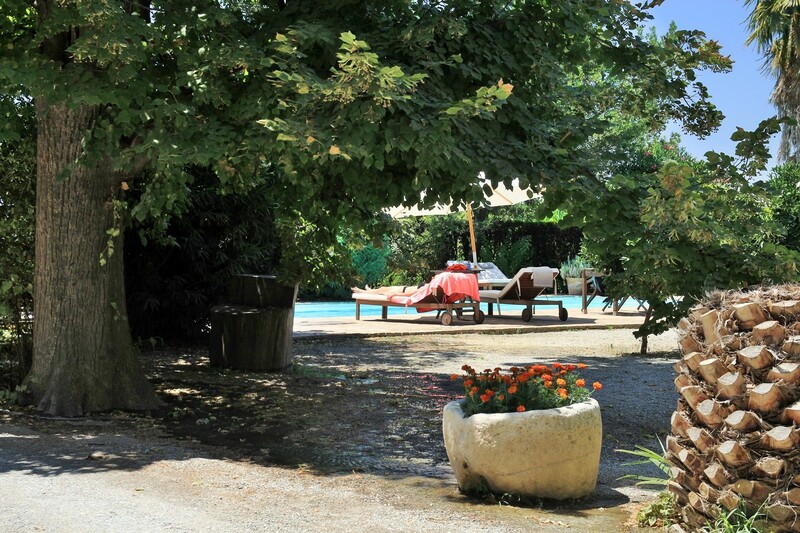 The garden has a big pool (communal use) and a solarium. 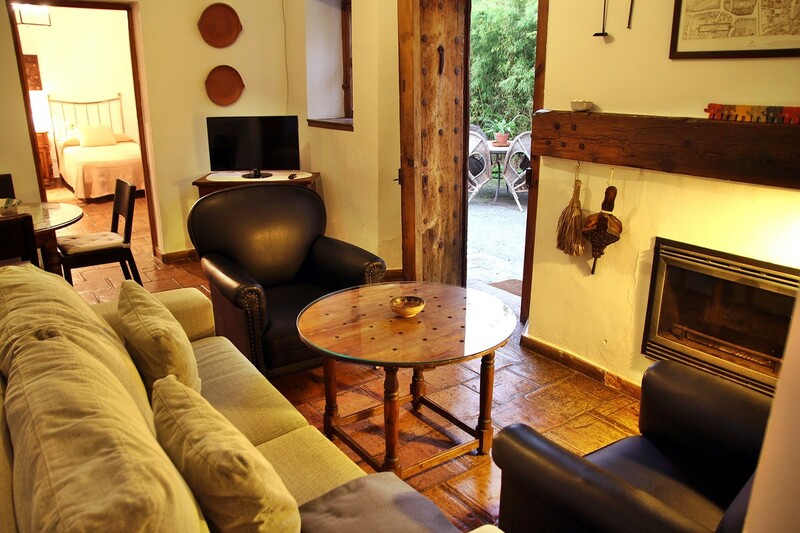 This renovated farmhouse is offering three more apartments.